Futures appears in this review of Marx@200 by Frances Madeson, curated by Kathy M. Newman and Susanne Slavick. Features work by Tom Bendtsen, Foeiqua, Sharka Hyland, Andrew Ellis Johnson, Bang Geul Han, Donald Porcaro, Jessica Posner, Jessica Walker. Andrew Ellis Johnson's video Massacre of the Innocents is included in UP IN ARMS at Zilkha Gallery South at Wesleyan University. 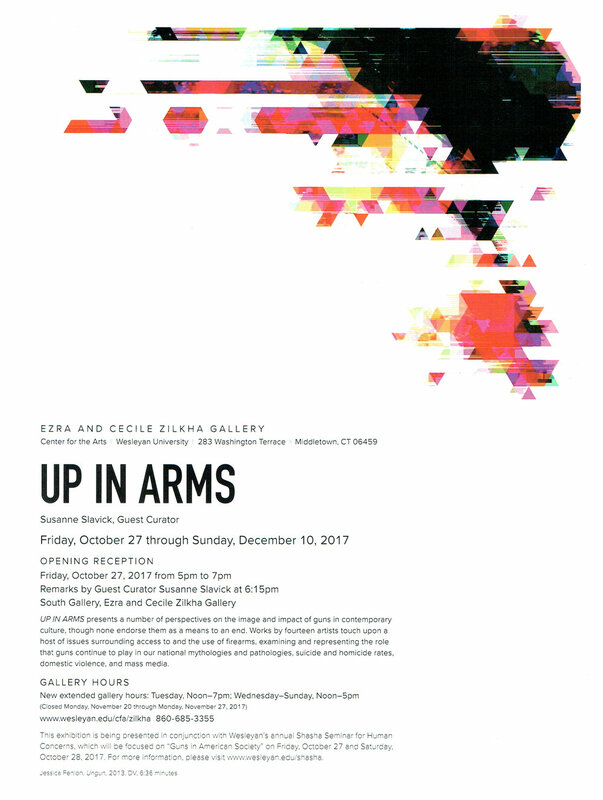 In Up in Arms, Artists Engage in Dialogue on Gun-Related Violence, by Mae Davies in The Wesleyan Argus. Andrew Ellis Johnson: The Skeletons in History’s Closet appears in Hyperallergic, November 4, 2017. RESORT, a two person show by Andrew Ellis Johnson and Susanne Slavick at The Fed Galleries at Kendall College of Art and Design in Grand Rapids, Michigan, previewed in this REVUE article by Marla Miller. Between a Rock and a Hard Place (or How to Make Light at the End of a Tunnel) was included in the Mykonos Bienniale 2017 on the island of Delos, Greece. 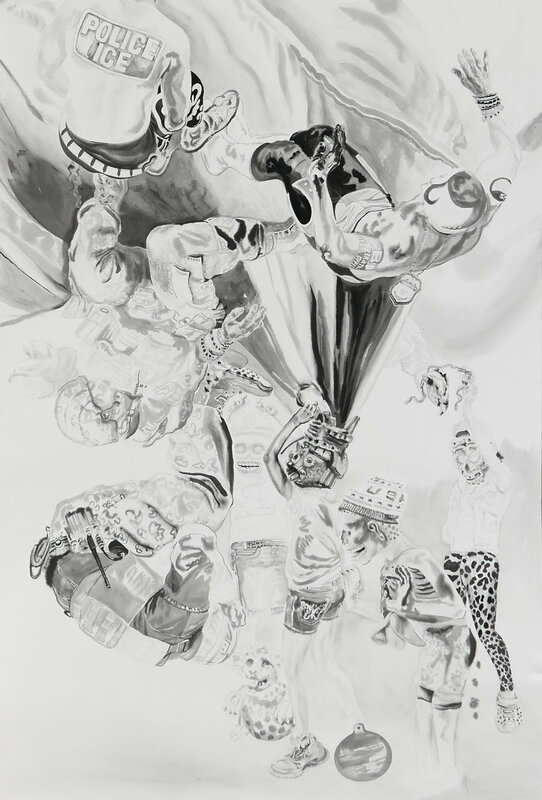 Massacre of the Innocents and Rehearsal are included in UNLOADED, a group show organized by Susanne Slavick that explores historical and social issues surrounding the availability, use, and impact of guns in our culture. Swamp Accommodations VI from the DRAIN cycle appears in Hyperallergic, August 5, 2017.